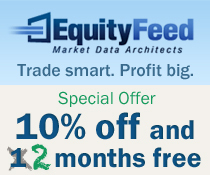 Innovative Marketing, SeeThruEquityResearch, HEROSTOCKS, Stock Brain, SmallCapVoice, StockOnion, PennyStockProphet, SecretStockPromo, Damn Good Penny Picks, Planet Penny Stocks, Penny Pick Finders, Buzz Stocks, Stock Commander, PREPUMP STOCKS, Penny Stock Newsletter, Penny Picks, BestDamnPennyStocks, TheNextBigTrade, DSR News, PHUB News, and OTC Markets Group reported on Endonovo Therapeutics, Inc. (ENDV), and today we are highlighting the Company, here at the QualityStocks Daily Newsletter. Endonovo Therapeutics, Inc. is a biotechnology company headquartered in Woodland Hills, California. It is a foremost developer of bioelectronic-applications in cell therapies and non-invasive electroceuticals. The Company’s initial emphasis is on the treatment of acute and chronic inflammatory conditions of the liver using its proprietary Immunotronics™ platform and the treatment of Graft-Versus-Host Disease using its ex vivo expanded and enhanced stem cells. Endonovo Therapeutics is focusing its efforts on inflammatory conditions in vital organs. Endonovo Therapeutics’ Immunotronics™ platform is a non-invasive, non-implantable bioelectronic device for treating/preventing vital organ failure via the reduction of inflammation, cell death and the promotion of regeneration. Endonovo’s Cytotronics™ platform provides for a method of expanding and manipulating cells using simulated microgravity and Time-Varying Electromagnetic Fields (TVEMF) for tissue engineering and cell therapies. The purpose of Endonovo’s Cytotronics™ platform is to create optimized cell-based therapies with greater therapeutic potential than the un-modulated cells now being utilized in regenerative medicine. The foundation for its Time-Varying Electromagnetic Field (TVEMF) technology was created at NASA in combination with the development of cell therapies to treat injuries and diseases that astronauts might encounter during long term manned missions in space. The Company is in the pre-clinical phase of evaluating its proprietary Immunotronic technology in the treatment of chronic and acute inflammatory conditions in the liver, including fulminant liver failure. Endonovo is developing a next-generation, off-the-shelf treatment for Graft-Versus-Host Disease (GVHD) using Cytotronics™ expanded and ex vivo enhanced stem cells from the human umbilical cord. Endonovo Therapeutics earlier announced a method and composition process for the creation of a cell mixture from a portion of the human umbilical cord co-cultured with adipose-derived stem cells. The resulting cell mixture provides for a rich source of highly-proliferative, immunosuppressive and non-alloreactive cells. These display neither of the major histocompatibility markers (HLA double negative). These immune privileged cells therefore represent a significant source of cells for allogeneic mesenchymal cell-based therapies. At present, Endonovo Therapeutics is preparing to conduct a number of pre-clinical studies evaluating the effectiveness of its Immunotronics technology in accelerating regeneration of the liver and treating inflammatory conditions, including ischemia/reperfusion injury. Endonovo expects to begin evaluating its Immunotronics technology in accelerating regeneration in the liver during Q1 of 2017. Endonovo Therapeutics, Inc. (ENDV), closed Monday's trading session at $0.12, up 8.99%, on 18,813 volume with 9 trades. The average volume for the last 60 days is 85,224 and the stock's 52-week low/high is $0.061/$0.9999. Hot Stock Profits, Value Penny Stocks, OtcWizard, and Penny PayDay reported earlier on Intellect Neurosciences, Inc. (ILNS), and today we are highlighting the Company, here at the QualityStocks Daily Newsletter. The Company is directing its research efforts exclusively to rare diseases. It has adjusted the emphasis of its TauC3 research and is pivoting from AD to rare neurological diseases that qualify for orphan drug status. It is planning to test its TauC3 monoclonal antibody in a number of orphan disease preclinical models in the near future. The Company will center its future research efforts exclusively on discovering and advancing therapeutic agents for the treatment and prevention of rare neurological diseases. Intellect’s compounds under development include OX1. This is a high affinity, copper binding molecule, which protects the body against free radicals. OX1 (renamed SHP622) is licensed to Shire plc. Shire earlier completed a single ascending dose and multiple ascending dose Phase 1b clinical study in 55 patients with Friedreich's Ataxia. The design of the study was to evaluate the safety, tolerability, as well as PK/PD of SHP622. Essentially, Intellect Neurosciences’ core business strategy is to build a portfolio of compounds with the potential to treat or prevent rare, "orphan", neurodegenerative diseases, develop each compound to pre-determined milestones, and license the compounds to pharmaceutical companies for advanced development and commercialization. The Company’s intention is to garner revenues from licensing fees, milestone payments, development fees, royalties and/or sales related to the use of its drug candidates or intellectual property (IP) for specific therapeutic indications or applications. In March of this year, Intellect Neurosciences announced that it appointed Benjamin D. Freilich, MD, FACS as Senior Medical Affairs Advisor. Dr. Freilich agreed to assist Intellect Neurosciences in shaping and guiding its CONJUMAB-A antibody drug conjugate (ADC) program, and more specifically, to advise the Company on the design of CONJUMAB-A and future pre-clinical and clinical studies targeting Age-Related Macular Degeneration (AMD). Intellect Neurosciences, Inc. (ILNS), closed Monday's trading session at $0.05, up 66.67%, on 58,475 volume with 9 trades. The average volume for the last 60 days is 14,995 and the stock's 52-week low/high is $0.0105/$0.14. RedChip, Wallstreet Profiler, PennyDoctor, Investors Alley, ProfitableTrading, and Street Authority Daily reported earlier on QPAGOS (QPAG), and we report on the Company today, here at the QualityStocks Daily Newsletter. QPAGOS is a provider of digital payment services for cash based and unbanked consumers in Mexico. The Company operates a network of self-service kiosks and applications designed to provide more convenient payment alternatives for consumers and more efficient billing for service providers. QPAGOS is based in Mexico City, Mexico. QPAGOS contributes to Mexico’s financial inclusion initiatives via its state-of-the-art electronic payments technology. This technology provides users with a convenient and secure alternative for paying bills, products and services, using multiple devices. These include self-service kiosks, mobile, as well as Personal Computer (PC)-based applications. For service providers, QPAGOS contributes to increase their national collections footprint. This is while decreasing transactional costs. For the Company’s distributors and franchisees, QPAGOS provides a very appealing income source as they are able to monetize high traffic physical spaces. The Company has an extensive portfolio of service providers and retailers that receive payments through its kiosks. These include utilities, cellphone operators, entertainment, and banking services. Users can search and select a Service Provider through a user-friendly touch screen. They can subsequently deposit their payment in cash and, within minutes, the payment is received by the Service Provider. QPAGOS announced in July 2016 the roll out of its self-service payment solutions for a multi-state micro lender, one of Mexico's emerging SOFOM's (Sociedad Financiera de Objeto Multiple) that provide loans and credit to Mexico's largely unbanked population. The micro lender's more than 50 branches are being outfitted with QPAGOS self-service kiosks and with the QPAGOS mobile application. Recently, QPAGOS announced that it expanded the Cash2Digital Kiosk Trial with a major Mexico Bank after a successful first phase, which exceeded expectations in transaction volume. QPAGOS expects that upon the successful completion of this next phase, it will send out kiosks to several hundred of the bank's more than 1,200 locations. The initial phase comprised 8 kiosk installations in Mexico City that experienced an above average number of transactions. Some kiosks achieved more than 2,000 monthly transactions with more than $12,000 in monthly revenue each. QPAGOS (QPAG), closed Monday's trading session at $0.615, down 8.21%, on 2,600 volume with 2 trades. The average volume for the last 60 days is 6,885 and the stock's 52-week low/high is $0.55/$1.31. We are highlighting Accurexa, Inc. (ACXA) today, here at the QualityStocks Daily Newsletter. A development stage company, Accurexa, Inc. concentrates on developing novel neurological therapies to be directly delivered into specific areas of the brain. Headquartered in Walnut Creek, California, the Company is developing its ACX-31 program to deliver two chemotherapy drugs, temozolomide in combination with BCNU, locally to brain tumor sites. The foundation of Accurexa’s product development is on clinical science from Johns Hopkins University and UCSF (University of California, San Francisco). Regarding the ACX-31 Program, Accurexa has a composition and use patent for the local delivery of combined temozolomide and BCNU licensed from Dr. Henry Brem et al. (inventor of Gliadel® - BCNU implants) at Johns Hopkins University. Accurexa is collaborating in the development of its ACX-31 program with Prof. Brem who built one of the largest brain tumor research and treatment centers in the world at Johns Hopkins University. Prof. Robert Langer is also advising Accurexa in the development of its ACX-31 program. Prof. Langer is the David H. Koch Institute Professor at Massachusetts Institute of Technology (MIT) and the most cited engineer in history. The advantages of ACX-31’s local delivery of chemotherapy drugs include direct delivery of the drug to the tumor site; achievement of effective drug concentration; the limiting of systemic side effects; as well as reduction of frequency of dosage. Local delivery of temozolomide demonstrated superiority versus oral delivery of temozolomide in an animal study at Johns Hopkins University. Accurexa has its BranchPoint device. The BranchPoint device can deliver therapeutics via the radial deployment of a flexible delivery catheter to large and anatomically complex brain targets by way of a single initial brain penetration. In September of this year, DelMar Pharmaceuticals, Inc. and Accurexa announced a collaboration to develop a novel formulation for the local delivery of combination chemotherapy for the treatment of brain cancer and other solid tumors. DelMar Pharmaceuticals focuses on developing and commercializing proven cancer therapies in new orphan drug indications. With this agreement, DelMar Pharmaceuticals will supply VAL-083 (dianhydrogalactitol) to be formulated within Accurexa's proprietary ACX-31 implantable polymer wafer to locally deliver VAL-083 in combination with temozolomide and/or BCNU for the treatment of brain cancer. DelMar Pharmaceuticals has been granted an exclusive option to license or acquire and commercialize product candidates and intellectual property (IP) resulting from the research. Accurexa, Inc. (ACXA), closed Monday's trading session at $0.69, down 3.56%, on 1,350 volume with 4 trades. The average volume for the last 60 days is 2,301 and the stock's 52-week low/high is $0.28/$1.2999. DSR News, PHUB News, Damn Good Penny Picks, Penny Picks, Penny Stock Newsletter, DamnGoodPennyStock, PREPUMP STOCKS, HEROSTOCKS, Stock Brain, and Penny Stock Hub reported earlier on Greenkraft, Inc. (GKIT), and we report on the Company as well, here at the QualityStocks Daily Newsletter. OTCQB-listed, Greenkraft, Inc. manufactures and markets alternative commercial forward trucks for varied vehicle classes in the United States. Additionally, it provides engines, and offers alternative fuel systems to convert petroleum based vehicles to run on natural gas and propane fuels. Founded in 2008, Greenkraft has its corporate head office in Santa Ana, California. Greenkraft established to introduce clean, green, efficient, automotive products that run on alternative fuels. Its commercial trucks are powered by alternative fuels, including CNG and LPG in Classes 3, 4, 5, 6, and 7. The Company designs, develops, and manufactures compressed American natural gas and propane gas forward cabin trucks, alternative fuel systems, and alternative fuel engines. Its products are all environmentally friendly solutions. Greenkraft’s trucks are suited for Food Services, Electrical Contractors, Construction, Pest Control, Plumbing, Vending, Landscaping, and more. Concerning engines, the Company offers a 6.0 Liter CNG; a 6.0 Liter Propane; an 8.8 Liter CNG; and an 8.8 Liter Propane. Greenkraft has attained near zero emissions on different alternative fuel products running on alternative fuels. These near zero emission engines and trucks can be used in the transportation industry across the U.S. The near zero emission engine Greenkraft is working on is an 8.0 liter. It will be used in the Company’s Class 6 and Class 7 trucks running on CNG and LPG. Greenkraft is now manufacturing trucks designed to run with a package from Allison Transmission Holdings, Inc. The Allison package will provide a completely automatic transmission for Greenkraft's customers. Allison Transmission (of Indianapolis, Indiana) is the world's largest manufacturer of fully automatic transmissions for medium- and heavy-duty commercial vehicles. Allison is a leader in hybrid-propulsion systems for city buses. The first line of trucks with Allison Transmission are available in classes from 19,500 lbs. to 26,000 lbs. GVWR, and also other versions Greenkraft has in development for up to 33,000 lbs. GVWR. Regarding Greenkraft Alternative Fuel Systems, the Company has obtained EPA certifications on different systems. Greenkraft is presently working on additional EPA and CARB certifications. Greenkraft has a warranty in place for its conversion systems. The Warranty coverage includes 3 years, 36,000 miles. 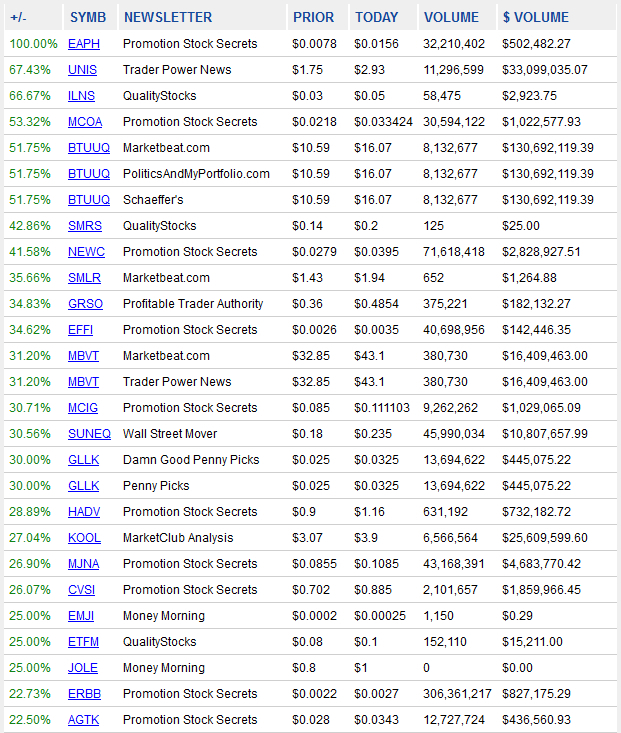 Greenkraft, Inc. (GKIT), closed Monday's trading session at $0.0392, up 3.16%, on 20,000 volume with 2 trades. The average volume for the last 60 days is 60,072 and the stock's 52-week low/high is $0.03/$0.55. The QualityStocks Daily Newsletter would like to spotlight OurPet's Company (OPCO). Today, OurPet's Company closed trading at $0.875, up 8.02%, on 800 volume with 2 trades. The stock’s average daily volume over the past 60 days is 4,879, and its 52-week low/high is $0.6882/$1.06. OurPet's Company (OPCO) develops, produces and markets various pet accessory and consumable products designed to awaken pets' natural instincts, be it in feeding, playing or waste management. Sold globally through pet specialty retailers, food, drug and mass chains, e-commerce and international channels, the company's products are marketed under a the OurPets®, Pet Zone® and PetTastic® brands with well-known sub-brands such as Play-N-Squeak™, Cosmic Catnip™, Durapet, SmartScoop and Flappy. In total, OurPet's has an intellectual property portfolio featuring more than 160 individual patents, giving the company sustainable access to the pet products industry for the foreseeable future. In recent years, the U.S. pet products and services market has experienced strong growth, with total sales accounting for approximately $73 billion in 2014, according to a report by Packaged Facts. In 2015, this strong performance is expected to continue, building on the recent rise in related ecommerce purchases, as well as an uptick in dog and cat ownership throughout the country. In order to capitalize on this market performance, OurPet's maintains an ongoing new product development program to continually keep an evolutionary and revolutionary new product pipeline feeding its offerings. In July 2015, OurPet's introduced many new products at the national Super Zoo trade show in Las Vegas such as the Catty Whack®, Designer Diner™/Barking Bistro™ and the Zoom Plume™. The company's capitalization strategy is guided by a management team of experienced industry professionals dedicated to further strengthening its product portfolio through aggressive development of innovative products. Management has a proven track-record of leveraging deep knowledge in the innovation, technology, distribution and pet markets to successfully push through adverse market conditions to achieve increases in revenue, margins and net income. The QualityStocks Daily Newsletter would like to spotlight Dominovas Energy Corp. (DNRG). Today, Dominovas Energy Corp. closed trading at $0.0014, up 7.69%, on 10,671,936 volume with 48 trades. The stock’s average daily volume over the past 60 days is 21,015,813 and its 52-week low/high is $0.001/$0.143. Dominovas Energy Corp. (DNRG) is an energy solutions company dedicated to bringing clean, sensible and reliable power to areas of the world that lack this precious commodity. Recognizing the incredible growth and profit opportunities of the green and alternative energy markets, Dominovas Energy defined a sustainable deployment model to take a leading position among alternative green energy solutions providers. At the heart of Dominovas Energy’s Fuel Cell Division is a revolutionary energy solution powered by the RUBICON™ Series Solid Oxide Fuel Cell (SOFC) Technology. Invented by inventor, scholar, professor and visionary Dr. Shamiul Islam, RUBICON™ achieves more than 50% fuel-to-electricity efficiency, providing cost effective, clean, significantly-reduced emissions with silent operations in 100kW to multi-megawatt power arrays. The proprietary system is capable of reforming and converting multiple fuel stocks, and is expected to become the “PLATINUM Standard” by which all other fuel cell technologies are measured. In early 2014, Dominovas Energy was acquired by Western Standard Energy Corp. in a merger transaction in which Dominovas Energy was the emerging entity. Per the acquisition, Dominovas Energy obtained Western Standard’s 49.25% ownership of award-winning renewable energy company Pro Eco Energy Ltd. Pro Eco Energy provides award-winning heating and cooling systems for commercial and public buildings, delivering the newest alternative energy technologies for energy efficient HVAC systems in a timely and cost-competitive manner. The QualityStocks Daily Newsletter would like to spotlight Medical Transcription Billing, Corp. (MTBC). Today, Medical Transcription Billing, Corp. closed trading at $0.8455, up 0.65%, on 4,192 volume with 12 trades. The stock’s average daily volume over the past 60 days is 24,102, and its 52-week low/high is $0.678/$1.78. The company went public in July 2014, at which time it also acquired three competitors. Since then, MTBC has steadily expanded its portfolio with seven additional acquisitions of competing healthcare IT companies, the most recent of which – and largest to-date - is Texas-based medical billing company, MediGain, LLC. Today, MTBC is an award-winning company whose Software-as-a-Service (SaaS) platform helps healthcare providers increase revenues, fine tune their clinical and business decision making, reduce administrative burdens, streamline workflows, and reduce operating costs. Its current products - electronic health records, practice management, patient engagement and the mHealth app – are fully integrated with core services that include medical billing services, value-added services, consultancy services, medical transcription, scribe services, and business intelligence. Notably, the standard fee for its comprehensive platform is calculated as a percentage of a practice's healthcare-related revenues, and is among the lowest in the industry. MTBC is ranked among the Deloitte Technology Fast 500 (2009, 2010, 2011, 2012), is a Microsoft® Certified Partner, and has been awarded the Surescripts® White Coat of Quality, while its mHealth app – available for smartphone and tablet devices - is ranked No. 1 on Apple Store and Google Play as the most downloaded app for ICD 9 to ICD 10 conversion. The QualityStocks Daily Newsletter would like to spotlight Moxian, Inc. (MOXC). Today, Moxian, Inc. closed trading at $5.30, even for the day, on 100 volume with 1 trade. The stock’s average daily volume over the past 60 days is 175, and its 52-week low/high is $4.30/$10.60. Moxian, Inc. (MOXC) engages in the business of providing social marketing and promotion platforms designed to help merchants accelerate and advertise their business growth through social media. These products and services enable merchants to run targeted advertising campaigns and promotions, and aim to enhance the interaction between users and merchant clients by using consumer behavior data compiled from the Moxian database of user activities. The company has two primary core products: Moxian+ User App and Moxian+ Business App. Developed in Shenzhen, China, Moxian integrates social media, entertainment and business intelligence. The Multi-Channel Social Commerce Platform, which includes a variety of tools such as Moxian's proprietary Social Customer Relationship Management (SCRM) system, generates knowledgeable data for merchants. This way, consumers and businesses are able to connect and interact with one another to achieve the concept of "online lifestyle, offline fun." Moxian+ User App serves as an App driven for consumer users to use the platform, consisting of our proprietary virtual currency (MO-Coin and MO-Points), social networking, redemption centre and game centre. Users can earn MO-Coins by playing games, and then use those coins to redeem prizes sponsored by Moxian and client merchants. This model not only drives registered consumers to Moxian and merchant, but also provides merchants the opportunity to advertise, run marketing campaigns, and learn about their customers through the Platform. Moxian+ Business App is an independent App with built in Social Customer Relationship Management tool built for merchants. Merchants are able to set up a store on the Moxian platform through this business App, push promotions via a variety of methods offered on the platform and look at generated report customized to their own shop. The QualityStocks Daily Newsletter would like to spotlight Monaker Group, Inc. (MKGI). Today, Monaker Group, Inc. closed trading at $2.60, off by 2.26%, on 11,260 volume with 11 trades. The stock’s average daily volume over the past 60 days is 8,332, and its 52-week low/high is $1.10/$5.00. Monaker Group, Inc. (MKGI) is a technology driven travel company focused on leveraging resources to become a significant presence in the fastest growing sector of the $1.3 trillion travel and tourism market. The company's flagship brand, NextTrip.com, is the industry's first and only real-time booking engine that features alternative lodging (vacation home rentals, resort residences and unused timeshare inventory), as well as a full selection of airlines, hotels, cruises, rental cars, tours and concierge services. These features are combined into a single, easy-to-use platform that gives travelers complete real-time control when planning and booking their vacations. NextTrip.com takes an integrated approach to the needs of travelers by combining multiple booking solutions into a highly intuitive real-time booking platform. Since its launch in February 2016, NextTrip has already grown to more than 250,000 units of vacation rental inventory. Monaker currently has roughly 1 million additional alternative lodging units under contract that will soon be added to the platform. This will place NextTrip among the top three largest vacation rental inventories and rival industry peers, Airbnb and HomeAway, in the rapidly expanding alternative lodging market. Unlike the competition, which book by request which can take hours or days before a lodging owner confirms, NextTrip's platform books in real-time, similar to online hotel bookings. Most NextTrip listings are in desirable locations in the U.S., the EU and the Caribbean with about 20% exclusive listings. Monaker expects rapid exclusive listing growth because, unlike the competition, Monaker doesn't charge a sign-up fee, just a commission upon booking. The competition charges both. Monaker even has a proprietary solution to unlock Timeshare and Fractional Share properties as rental inventory. Through strategic partnerships and acquisitions Monaker is now positioned to be a major player in the travel and alternative lodging sector. In addition Monaker is also the parent to Maupintour and Voyage TV. In business for 65 years, Maupintour still leads the tour industry in the creation of outstanding, unique itineraries and has the highest repeat rate in the tour industry. Maupintour's upscale luxury services create a unique blend with the various product offerings of NextTrip. Voyage TV has thousands of hours of travel footage shot in over 30 countries worldwide. These 15,000 video clips of hotels, resorts, cruise, and destination activities are a treasure trove for vacation travel marketing. With an established portfolio of travel brands, and a proven record acquiring, consolidating and integrating companies, Monaker is building a diverse and exciting foundation to drive the company's future. According to data from the U.S. Travel Association, direct spending on leisure travel by domestic and international travelers topped $650 billion in 2015. When combined with the fact that roughly 64 percent of travel companies are still considered small businesses, Monaker's all-inclusive approach to vacation booking through NextTrip and Maupintour strategically positions it for sustainable growth moving forward. iGambit, Inc. (IGMB) and HubCentrix Inc. Sign Letter of Intent for iGambit Inc. to Acquire the Assets of HubCentrix Inc.